Has now returned to it’s original name since 2005! 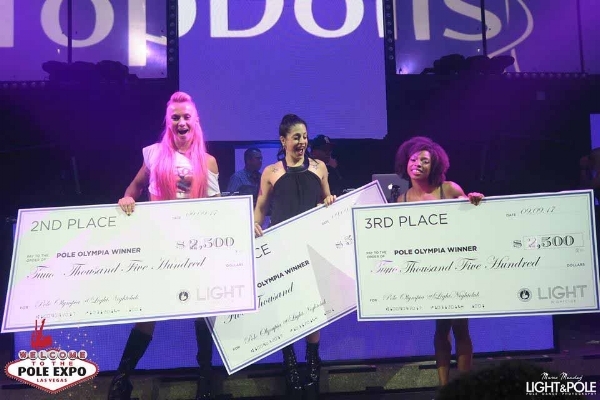 THE MOST BRUTAL POLE DANCING COMPETITION ON EARTH! Watch 15 of the worlds’ best pole dancers put their life on the line. Round 1: 45 seconds! Round 2: top five get 60 seconds to prove they are worth a piece of $5,000! Watch Pole-A-Palooza on Saturday September 8th at the beautiful Foundation Room at Mandalay Bay! 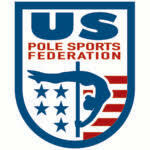 This event is include in your All Access Pole Expo Pass or Saturday Day Pass. Tickets available at the door to Foundation room. Photo here showing 2017 Winners! Pink Puma, Samantha Star, Ashley Fox.